In late 2016, Tratt Properties finalized the sales of the Jim Holdings, LLC building in Spartanburg, SC and the newly constructed 376,963 SF Santa Fe Logistics Center in Phoenix, AZ. The 573,210 SF Jim Holdings, LLC property with 30’ clear height was originally purchased by Tratt Properties in 2007 with Adidas as the tenant. They owned the property for ten years and stabilized it with the lease to two multi-national corporations in 2014 after Adidas’s lease expired. The building was sold in November to STAG Industrial for $20.5M. In late 4th quarter of 2016, the construction of Santa Fe Logistics Center was completed. The building consists of a 32’ clear height, 190’ of all concrete truck court and is in the process of LEED certification. Prior to construction, CBRE’s Feeney, Calihan, and Kennedy team out of Phoenix, AZ leased 112,00 SF of the building to Hensley Beverage Company. Hensley was attracted to the property since their headquarters is located across the street and they consolidated two other outside facilities. The building sale was brokered in December by the JLL Lydon / Hertzberg team out of Phoenix, AZ to Greco & Sons for $22.4M. Greco will be using the remaining space in the building with the opportunity to lease out 120,000 SF. 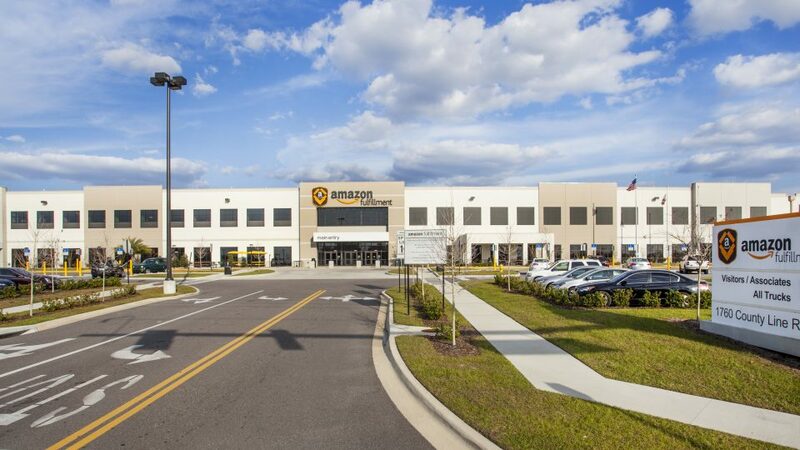 Amazon Fulfillment in Lakeland, FL was represented by Chris Riley of CBRE’s National Team and was a development joint venture between USAA and Johnson Development Associates. The building was purchased in December for $88M and consists of 1,016,080 SF with a 32’ clear height. Val Achtemeier of CBRE Capital Markets Group represented Tratt Properties for the finance with Wells Fargo Capital Markets Group who provided a $61M loan. This is the second Amazon facility Tratt Properties has owned after the development of a 1.2M SF property in Phoenix, AZ, which sold in April 2012. “I am very excited to have Amazon back as part of our long-term holdings and look forward to the prospect of growing with the E-commerce world leader.” – Jonathan Tratt, Founder and Managing Principal. Through the recent sales and purchase in 2016, Tratt Properties looks forward to 2017 as they continue to reposition their portfolio throughout strategic markets in the United States.